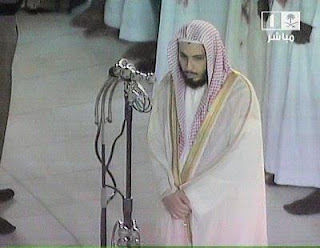 Sheikh Saleh Al Talib, was born in Riyadh, Saudi Arabia in the year 1974. He got his early education in Riyadh. He graduated from Imam Saud University, Riyadh and got a Masters Degree in Comparative Islamic Jurisprudence. He also has a Masters Degree in International Law from George Town, Washington DC, USA. Hence Sheikh Talib also understands English Language. Sheikh Talib usually leads Salat Al Isha in Masjid Al Haram. In July 2018, Sheikh Saleh Al Talib was suspended from leading Salats in Masjid Al Haram due to unknown reasons.